When it’s all about the location, this fantastic property with Bay views will exceed your expectations. The townhouse is designed over two levels, and offers on the lower level, 2 spacious bedrooms surrounding a central bathroom and large master bedroom with luxurious en-suite. The master and rear bedrooms both open onto the private north facing courtyard. The upper level provides a lovely bright kitchen with wall oven, electric cooktop and breakfast bar, which extends into a large sunny open plan living and dining area, highlighted by a wall of windows. Adjoining the lounge room, through large sliding doors, is a magnificent north facing deck with water views over the Cowes foreshore. The townhouse is offered with two carparks and the private courtyard is beautifully landscaped. If you having been looking for the ideal investment property, this townhouse can come fully furnished and already has a strong proven rental history. 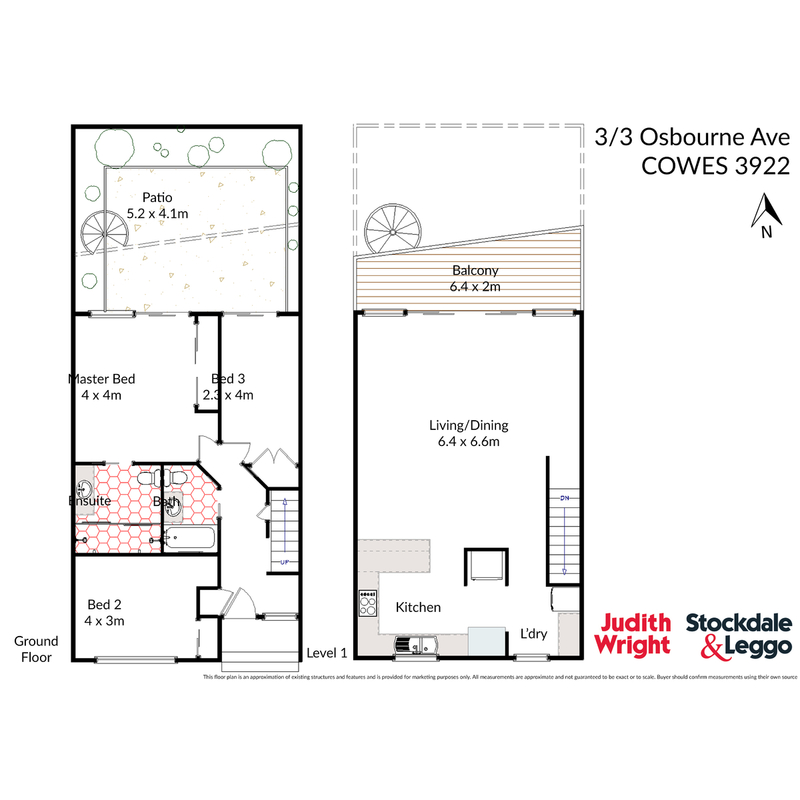 Located opposite Cowes Yacht Club and the foreshore beach, this property will not last long. Arrange your private inspection today!